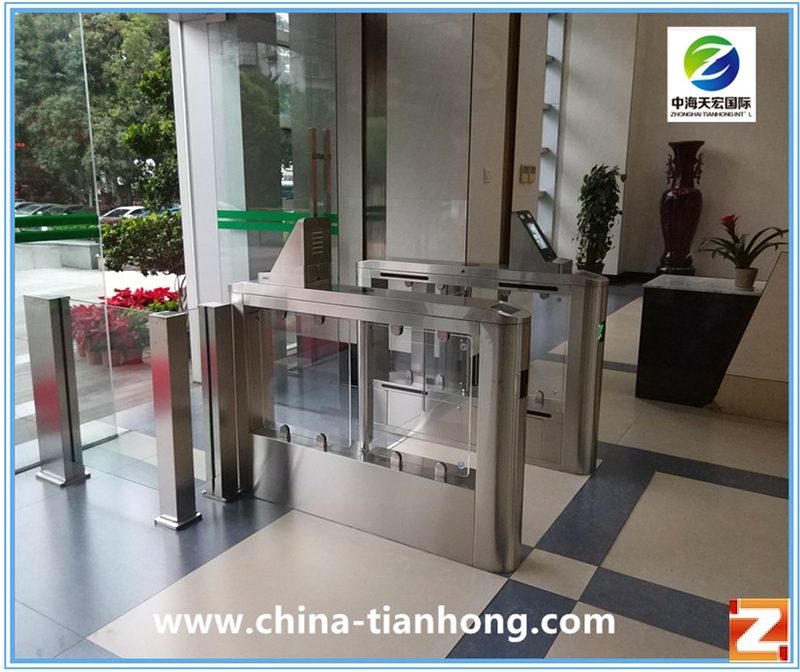 This is our latest speed gate with face recognition. 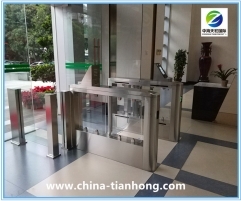 It is widely used nowadays in the deluxe office buildings of banks, government offices, security departments, hospitals, schools. 2. Power Consumption: Static state: single core 60W; dynamic state: single core 160W. 6. Interface: one Rs 232 interface, two card reader signals (Passive), one fire alarm interface.